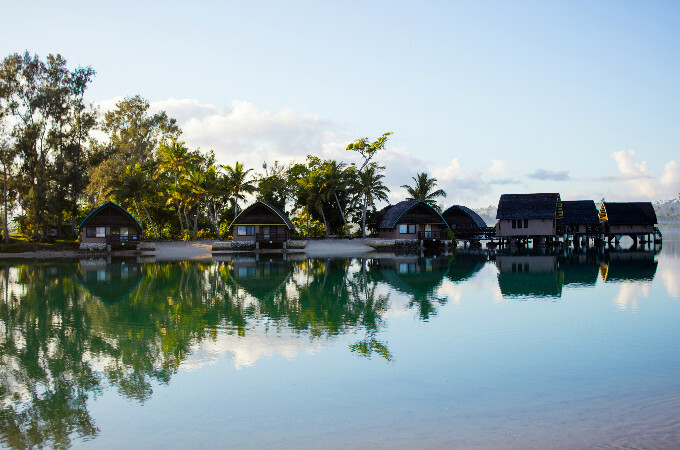 With exclusive lagoon frontage, Holiday Inn Resort Vanuatu truly is an oasis in Port Vila — and where you’ll experience a true Melanesian ‘welkam’. Erinah says, “I love planning weddings. All brides have their own ideas and I aim to give them the wedding of their dreams. I want couples to enjoy and feel special on what will be one of the best days of their lives!” Erinah has over six years’ experience in the tourism and hospitality industry, including three years as a dedicated wedding and event planner. 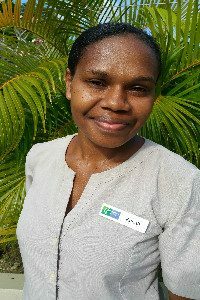 Highly organised, Erinah ensures every event is delivered right down to the very last detail! Our stunning tropical surrounds and versatile ceremony options really appeal to brides and grooms when they come to our resort. The enormous banyan trees, lagoon setting and our Ceremony Cabana make for a truly special day. Not every location can offer a unique ‘chauffeur’ option such as our Resort Chief escorting the bride on a traditional canoe to her wedding ceremony! Our professional approach and tailored options make for the most memorable wedding for our bride, groom and guests. Where’s your favourite spot at Holiday Inn Resort Vanuatu for a gorgeous wedding photo? A difficult question, there are so many options! My top three are: the banyan trees, for their greenery and character; the blue and turquoise colours of the lagoon as a backdrop; and the swaying palm trees. And what’s the most Instagrammable spot at the resort? One sure to make the people back home jealous! An Overwater Villa – situated on our very own Erongo private island, the Villas have direct access to the lagoon, private balcony and beautiful tranquil surroundings. What’s one thing you get at Holiday Inn Resort Vanuatu and nowhere else on the planet? It’s all about the friendly and welcoming team at the resort that makes a wedding such a special occasion and lasting memory. Guests tell us all the time, they feel like they are part of the family when they stay with us. What are some of the chef’s specialities for a wedding menu? Local tender Santo beef fillet… and lobster anyone? What’s the strangest wedding request you’ve ever had – and did you deliver?! Due to a wedding location no longer being accessible we had to execute a wedding (with all the trimmings) with four hours’ notice. Oh and yes, did we deliver? It was amazing! To … ‘relax’. We have it under control. We’ve got this. What’s the most glamorous/luxurious thing couples get to do at Holiday Inn Resort Vanuatu? 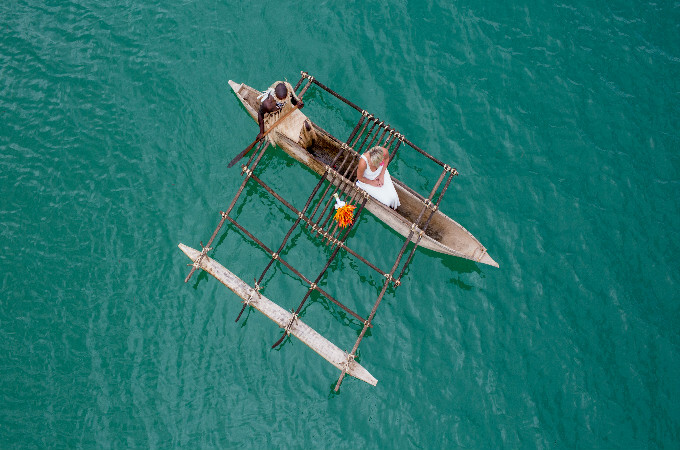 Brides can be escorted by a traditional canoe across the lagoon by our resident Chief. Also, our private lagoon-side cabana dinners by tiki torch light are incredible — and the room service breakfast delivered via canoe and presented on your private balcony is pretty special. Our team here will make it stress free. Leave it to us. It is our home, we know how things work best here and we will make your day so incredible you’ll want to do it all again the next day! There are many appreciative thanks, including “we will see you next year for our first wedding anniversary, we love this place.” To know we’ve created an experience they want to continue reliving is pretty special.